The controversial new race filters on FaceApp. You may remember a few months ago when your social media feeds were flooded with filtered selfies of your friends using the new photo-editing software FaceApp. During the app’s first wave of popularity, however, one of the filter options was pulled after a number of users reported that the so-called “hot” filter actually seemed more like a skin lightening filter – something Snapchat has also been found guilty of by its users. 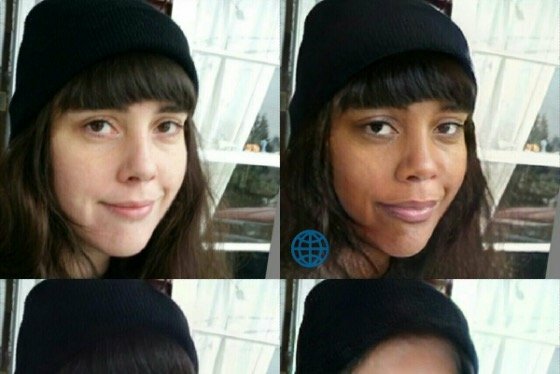 That controversy wasn’t enough of a lesson for FaceApp, though, as a new set of filters was released Wednesday that enables users to transform using “Asian, Black, Caucasian and Indian” filters. The new features have drawn ire and befuddlement from users, with some calling them a method of digital blackface. Everybody loves FaceApp, the app that makes you old! Mic reached out to FaceApp CEO Yaroslav Goncharov following the updates. “The ethnicity change filters have been designed to be equal in all aspects,” Goncharov said to Mic in an email.